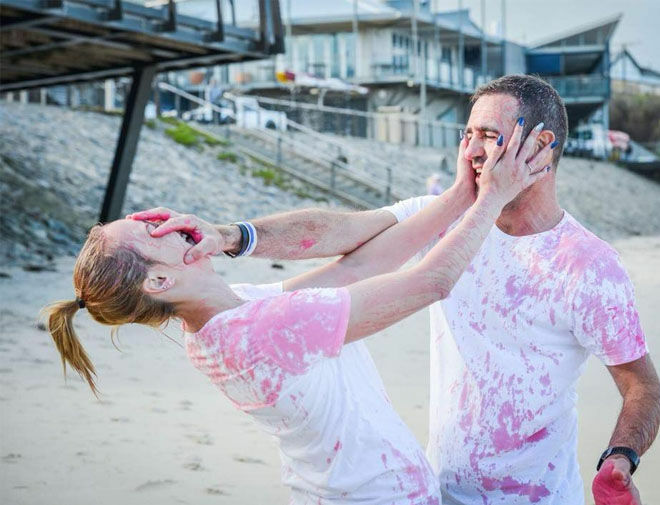 Super cheeky and extra cute, this gender reveal is all about fun and a whole lot of paint. 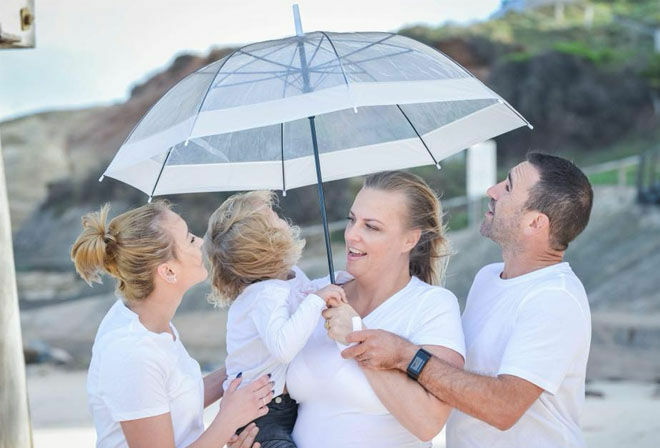 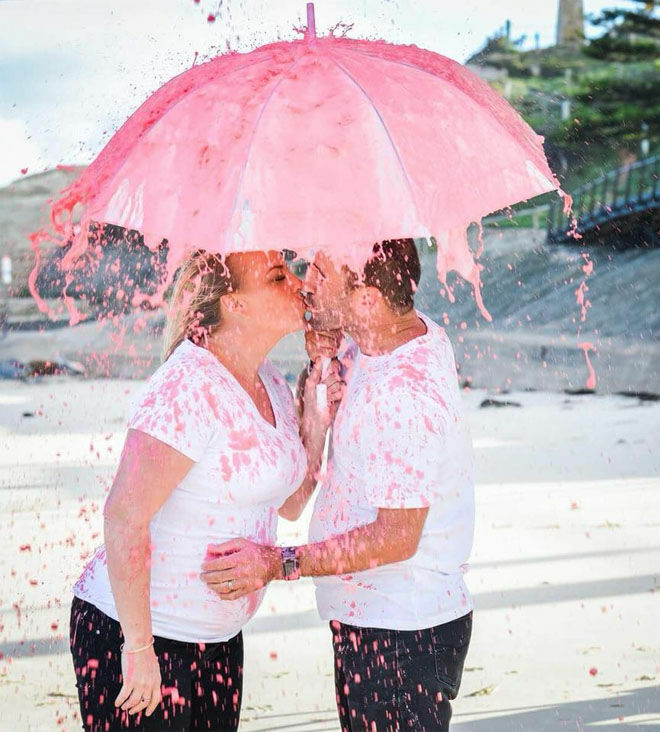 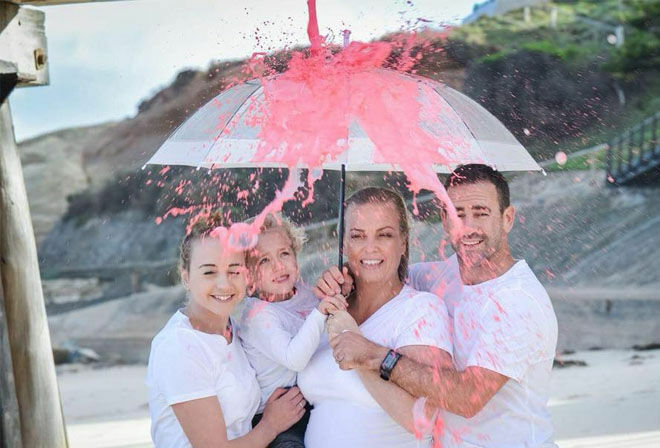 A ‘covered in colour’ gender reveal is one way to make a splash – a wave of colour crashing down while sheltering under an umbrella. 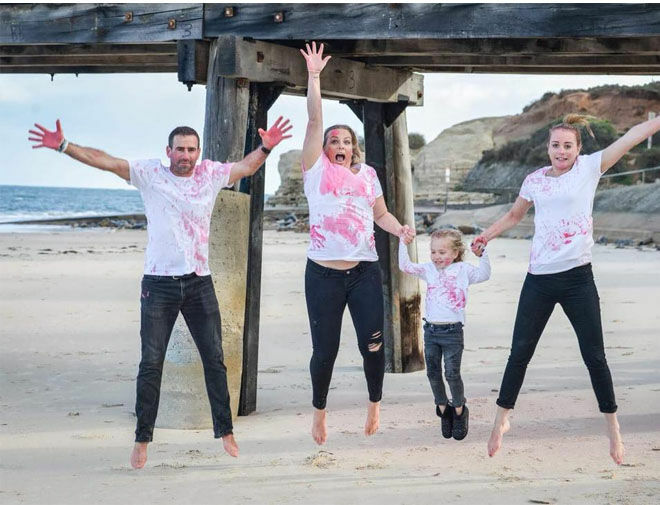 All you need is a brilliant photographer to snap the reaction and you’ve got a memory to last a lifetime. 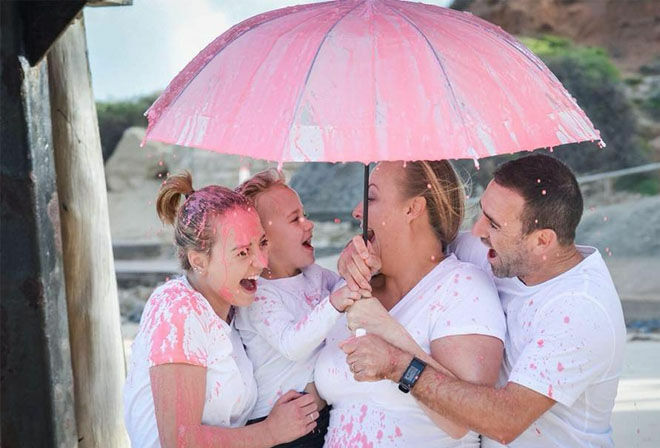 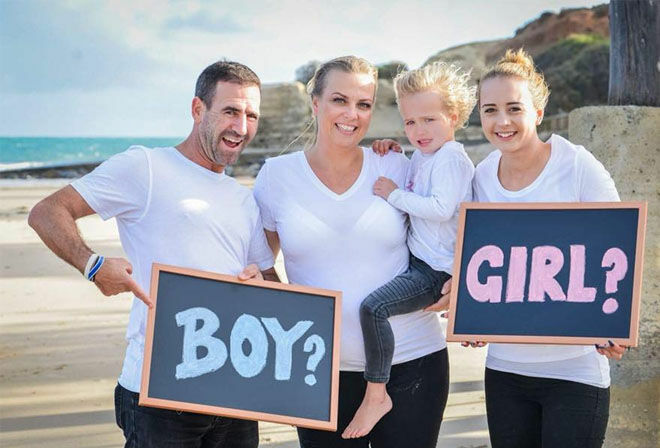 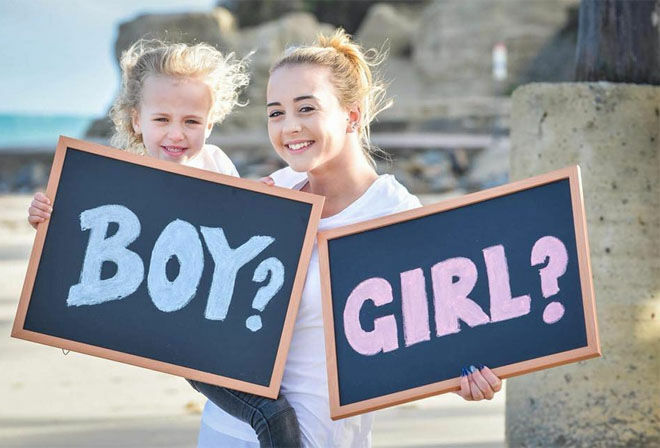 Lucy Turner from the Mum’s Grapevine Spring Due Date Group shared her unique gender reveal, which captured every emotion as a family with two daughters found out what their third addition would be. 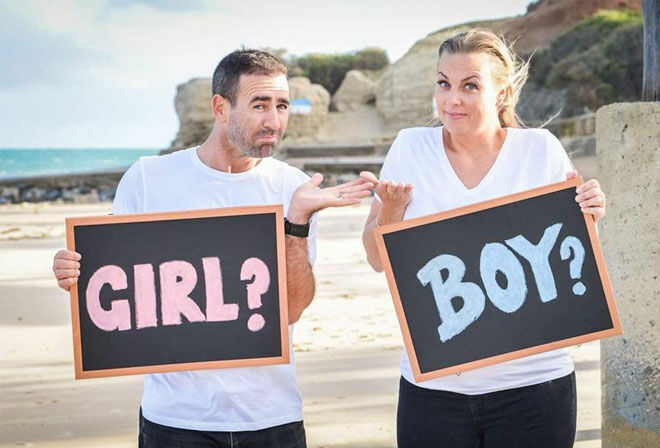 The family braved a freezing cold winter’s morning on a local beach to play out their gender reveal – and the photos capture every emotion. 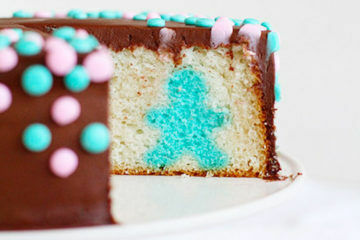 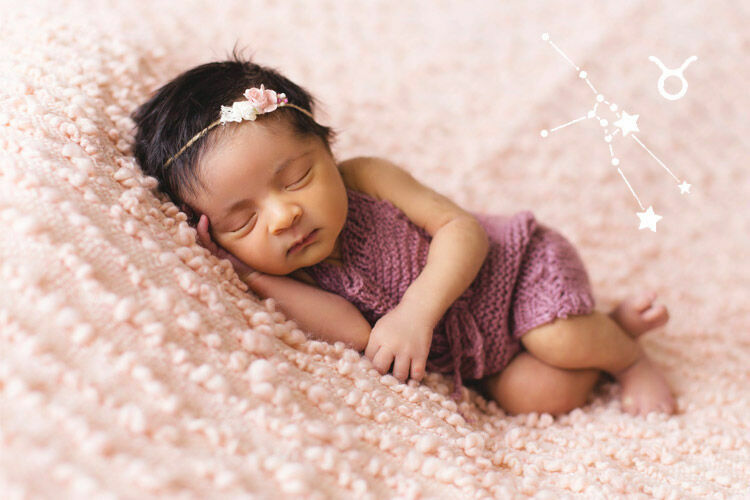 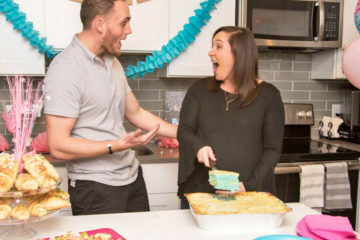 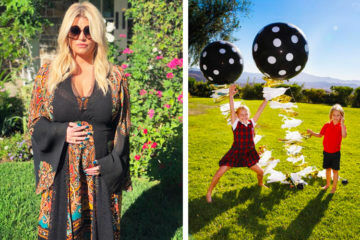 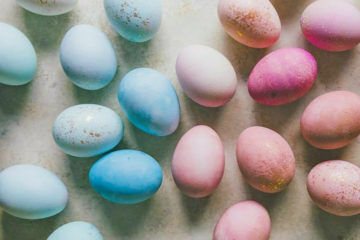 Want to see more gender reveal fun? 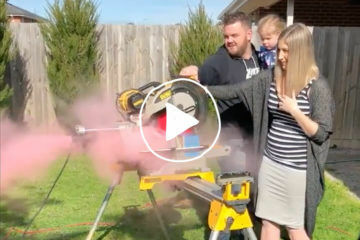 Take a look at one family’s elaborate escape room gender reveal video – it will get your heart racing!